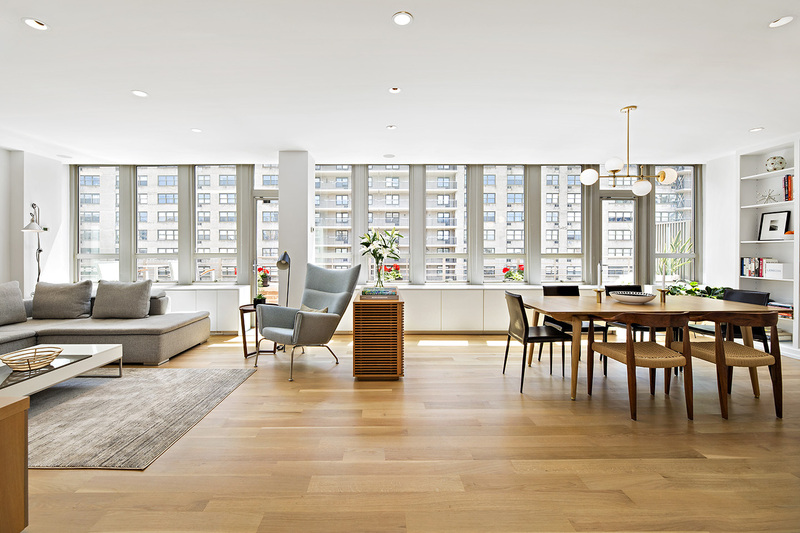 Penthouse A is a gorgeous architecturally stunning sun filled south-facing designer home. This expansive three bedroom (currently configured as two bedrooms and a family room) was meticulously renovated by Desai Chia Architects. This immaculate home is 100 percent move-in ready and is a true gem! This beautiful home's open concept features a chef's kitchen with stunning Polyform/Varenna kitchen cabinets, Sub-Zero, Viking and Miele appliances, Caesarstone countertop, amazing storage, a water filtration sink and under counter lighting. The spectacular oversized south facing windows and terrace span the entire length of the home! 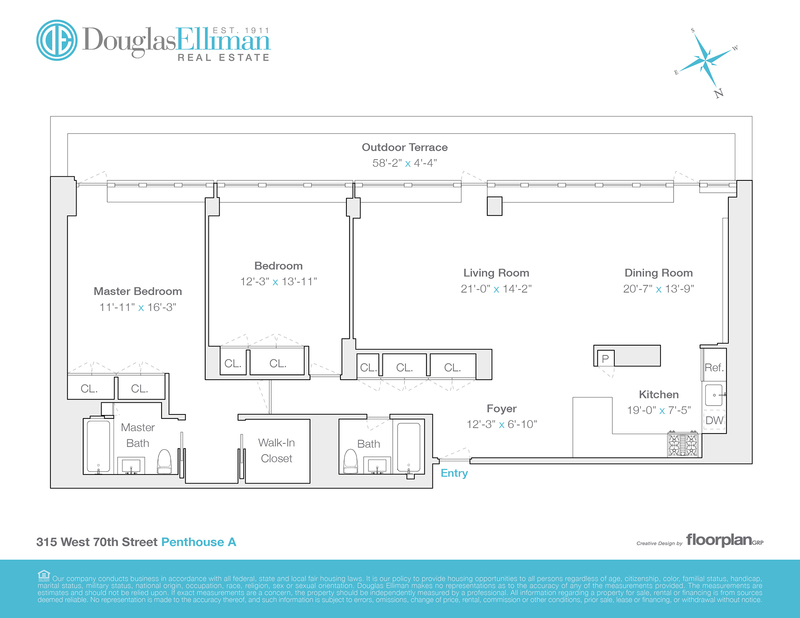 Penthouse A has approximately 1,583 square feet of interior space and another 341 square feet of outdoor terrace. Other key features of this home are two full bathrooms featuring Wetstyle and Duravit vanities, Dornbract fixtures and Robern medicine cabinets. There are solid oak floors throughout, high ceilings, recessed ceiling lights throughout, 3 entrance doors to the outdoor terrace, Sonos ready hard-wired speakers in ceiling, walk-In master closet, ceiling height doorways and doors, full wall build-in bookcase, through wall heating and cooling units with surrounding built in storage, sun shades throughout, and abundant custom closets. Located in the highly sought after Lincoln Square neighborhoods, Presidential Towers is minutes away from great restaurants, recreation, shopping, parks, transportation, culture and a coveted school district (PS199). Lincoln Center, Time Warner Center, Central Park, Riverside Park South, the Beacon Theater, Fairway, Citarella, Trader Joes and Zabars are nearby. The West 70th Street pier and waterfront features: PIER i CAFÉ, "Summer on the Hudson? activities, tennis courts, kayaking a bike path and walking promenade. The 72nd St. Subway and crosstown buses are steps away and there is easy access to the Lincoln Tunnel and West Side highway. Presidential Towers is a solid, mid-century building designed by Morris Lapidus, architect of the legendary Fontainebleau in Miami Beach and Plaza hotel in DC. This building is financially sound and well maintained with long time committed residents and staff. There are 24-hour doormen, a live-in resident manager, a laundry room, bike storage room, and pets are welcomed. There is building storage and a parking garage. Utilities and taxes are included in maintenance.